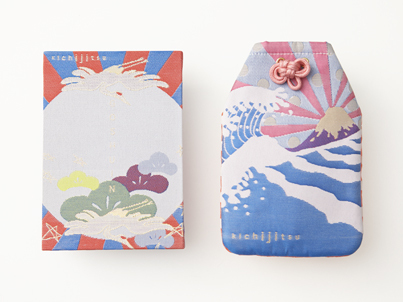 "kichijitsu" has started from the collaborations of Hikari Fabric and the designer Aya Inoue. Their theme is "everyday is the lucky day (kichijitsu)". 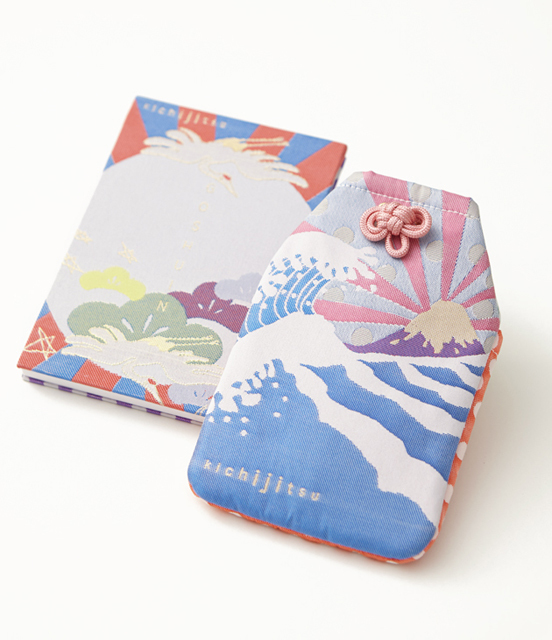 They use the textile fabrics which resemble the good luck, and they create "Omamori Pokke" the pouches which shape like a Japanese lucky charm and "SOSHUIN Notebook" which is the gorgeous notebook of the re-design of the Japanese pilgrimage passport. Both products are available at Hataori Travel MILL Shop and other retailers.